TAVRON manufacure superior quality chemical and pharmaceutical equipments which provide maximum effectiveness and efficiency in array of chemical and pharmaceutical applications. 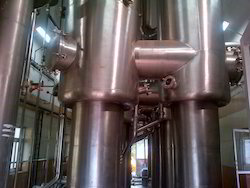 We supply Stainless Steel pipes and fitting equipments for the chemical processes. We also manufacture many chemical process equipments used in pharmaceutical industries like evaporators, spray dryers etc.We also deal in the range for pharmaceutical manufacturing equipment and pharmaceutical lab equipment. Stainless Steel Tanks for Storing and Mixing. Stainless Steel Pipes and Fittings. Looking for Chemical & Pharmaceutical Equipment ?